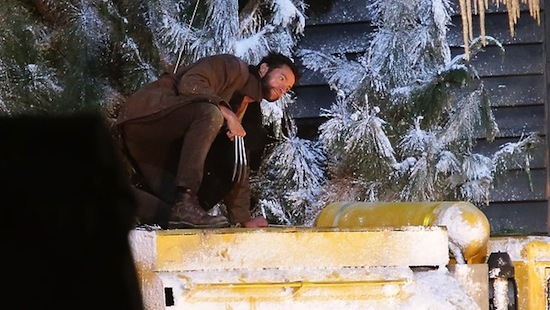 Hugh Jackman may have finished filming The Wolverine but playing the character is far from over. In not-so-surprising news, Jackman will reprise the role for Bryan Singer’s X-Men: Days of Future Past. It makes perfect sense since Wolverine played a huge role in the graphic novel. A Days of Future Past without Wolverine would be very odd. “I first heard about it around October or November ,” he notes. “I was literally finishing The Wolverine and dreaming about lasagna, and about three weeks before the end, they told me.” The role was large and reunited him with many of the original cast. “There was no way I was not going to be part of that.” He says he still has not read a finished screenplay, however, and has seen only a synopsis of about eight pages. It also makes sense that Hugh Jackman would again reprise the role since he loves playing the part; he’s been vocal about his passion for Wolverine. And frankly, I’m stoked for Jackman’s Wolverine on screen again and again — despite being too handsome, tall, and charming — and disregarding X-Men Origins: Wolverine.